I'm a carnivore and nothing makes me happier than a combination of thin juicy slices of premium beef with gravy, topped with melted American cheese and sauteed onions sandwiched in a bread roll. 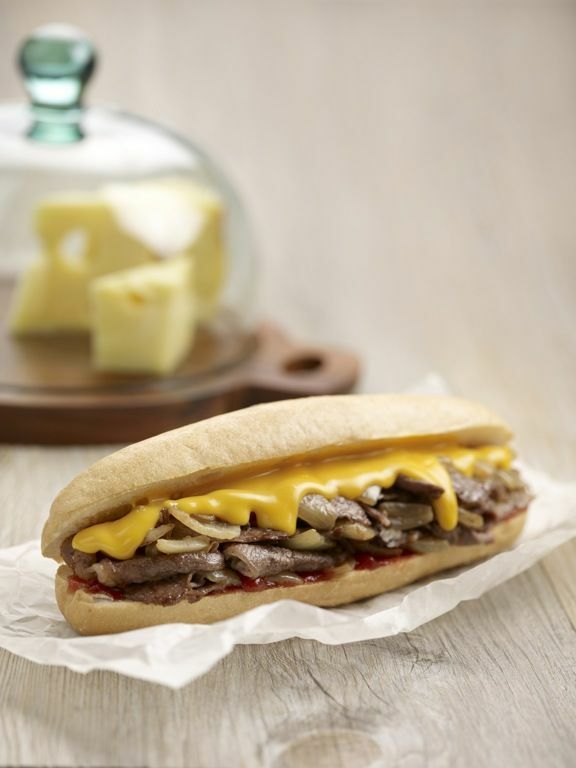 The latest option to satisfy this Philly Cheesesteak craving in Singapore is the Yellow Submarines, a cheery and happy spot located in the Toa Payoh heartland. The menu here was conceptualized by fellow Philly cheesesteak lovers, with the help of celebrity chef Chef Eric Teo. 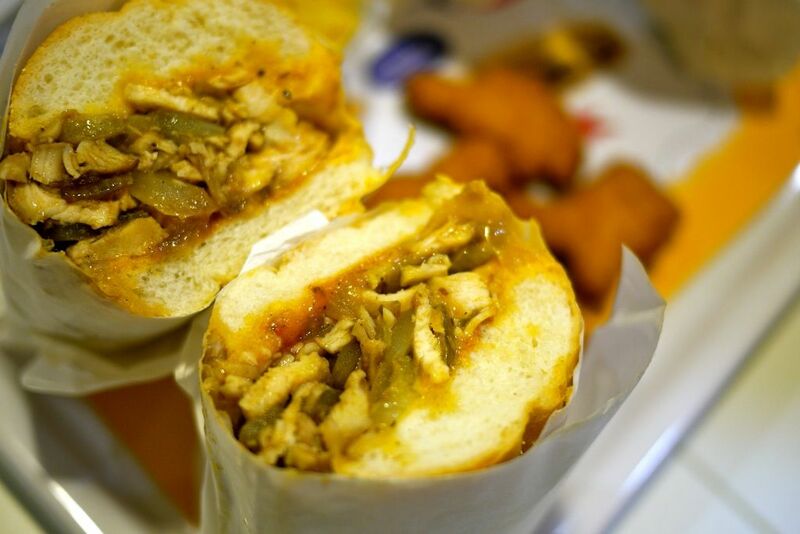 Other than the classic cheesesteak, there's also the chicken sub, veg sub, tuna sub and burgers. From a sales point of view, that's only logical considering how we Singaporeans are so darn fickle-minded when it comes to food. 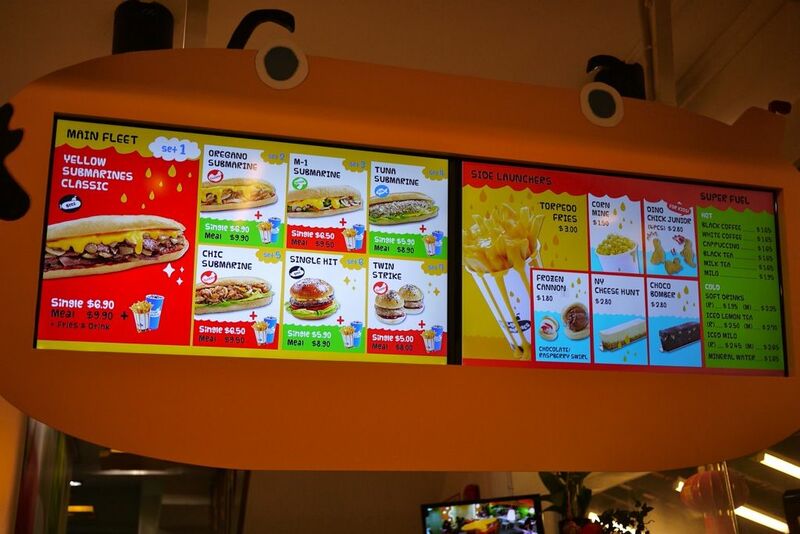 It's fast food self service at the Yellow Submarines though all orders are made to order on the spot. 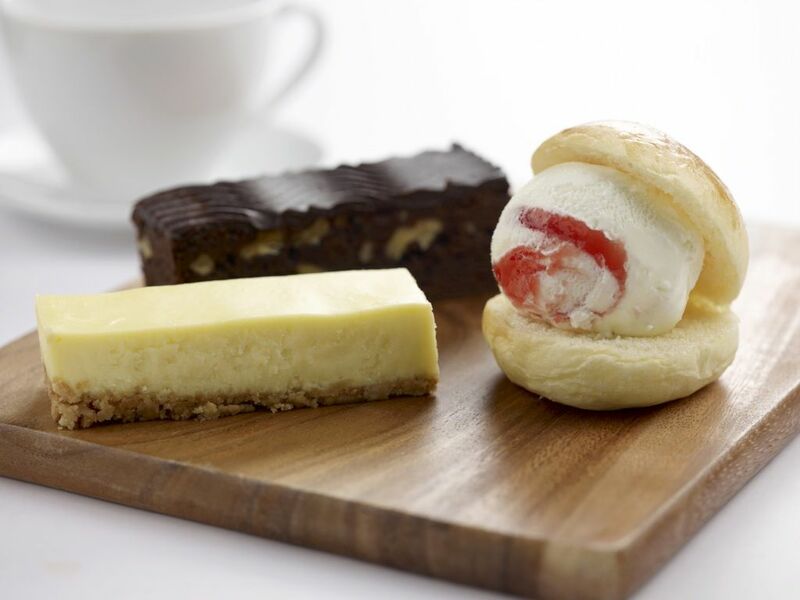 The food comes out pretty fast so make sure you keep your eyes on the display for your queue number to be pinged. The Yellow Submarine Classic (S$6.90) is a tasty sub no doubt with high quality Australian sirloin steak being used in this one. The cheese sauce also had me swooning and i wished there was more of that in my sub (i gave feedback that they should provide a side portion of cheese sauce for all who wants more heh). 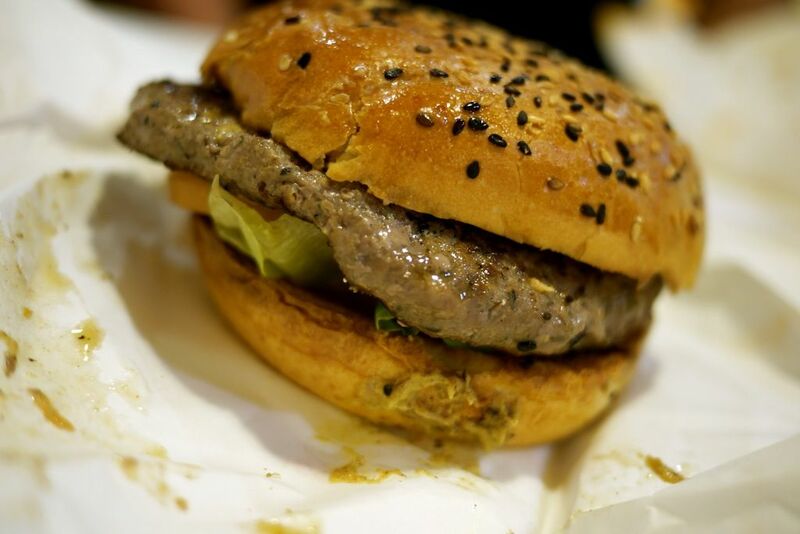 The bun was also faultless with its crusty exterior and toasted buttery interior. Here comes the but.. and only because i'm too accustomed to the real deal. The meat was a little too thickly sliced and hence it lacked in the juice department. The large onion chunks (a fixture in all their subs) were too Asian styled for my liking. Philly cheesesteaks have long strands of sauteed, caramelized onions, not chunky pieces. And why the ketchup? Now that definitely doesn't belong in a Philly cheesesteak. Thankfully the ketchup taste wasn't too overpowering. I'm not saying it is no good, it's just not authentic Americano. Now the Oregano Submarine ($6.90) is nothing American. This is what i'd call an Asian Chicken sandwich. I don't mind the onions in this one as much as i do in the Classic because it belongs with the other flavors. The chicken meat was very tender and juicy and I enjoyed the peppery taste in this one. Aunties and uncles from the neighborhood would probably identify with this sub. The Single Hit Beef burger ($5.90) is actually an Italian sausage masquerading as a burger patty. I love how herby and fragrant the meat is and the bun goes so darn well with it. What's missing? Cheese sauce for sure! 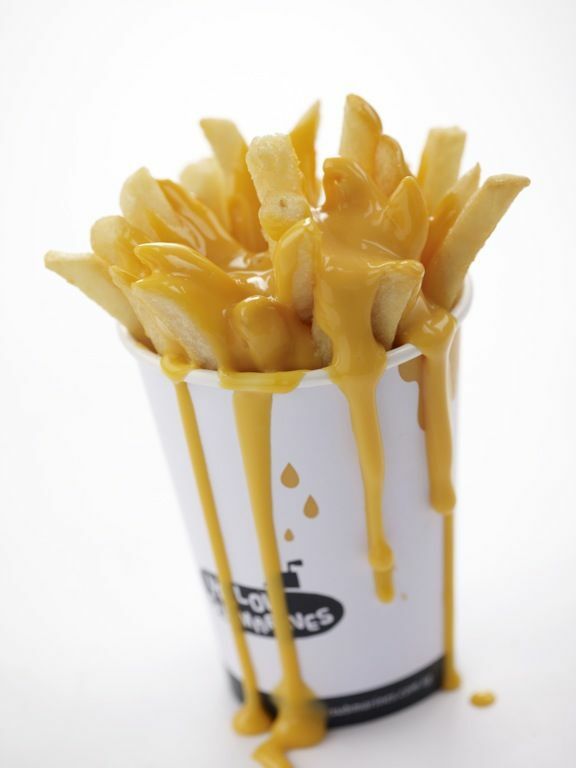 I cannot express how crazy i am about Yellow Submarines' cheese sauce. Made from a blend of several cheeses, this heavily guarded secret recipe is a sure winner. You gotta make your sub a meal with the Torpedo fries and a drink for an additional $3. I say this is certainly one of the best tasting cheese fries in Singapore. Other sides were pretty good as well. I had fun with the Dino Chick Junior (4pcs, $2.80), which were perfect with cheese sauce. Kids would love this one. The Corn Mine ($1.50) was also very sweet and juicy. Dayums! Desserts don't fare as well here ($2.80 each). Again, everything was toned down for the Asian palate. The cheesecake was very milky and soft, though lacking in the richness of the cheese. The brownie was dry and not chocolatey enough. 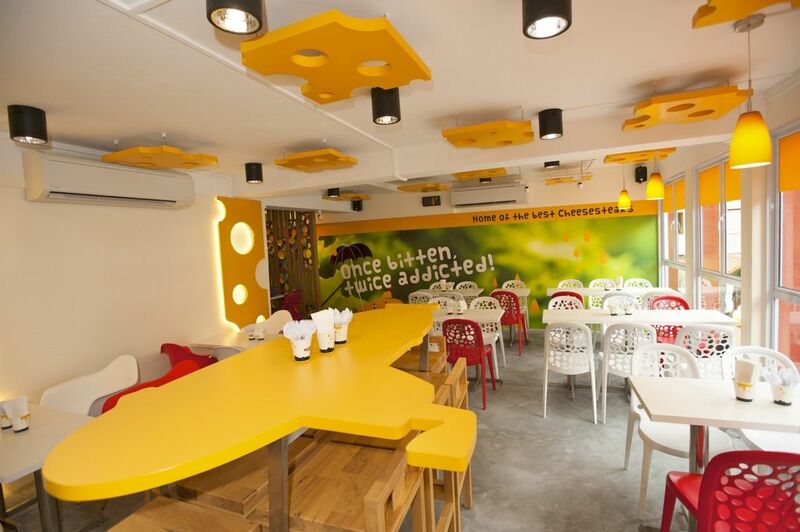 Overall, i did enjoy my meal at the Yellow Submarines. The fries are sufficient for me to visit again soon. Do hope some changes will be made to un-Asian-fy the subs. More cheese would definitely be awesome. On a side note, i lament this whole 'catered to Asian taste' thingy. Food should educate, not accommodate. I admire those chef that stick to the authentic flavors and not let the whim and fancy of ignorant customers dictate what they should serve on the plate. It takes time, but I'm sure the sophisticated Singaporean diner would appreciate that. Hmm. Imo, it's not uncommon that businesses tend to do exactly that : tone down the taste, and hope it'd appeal to the target customer. Perhaps you can feedback to them to slowly raise the (flavor/taste) bar and get people to get used to the "original" flavor over time? the yellow table looks so unique!